Skandinavisk Transport Center in Køge is one of Zealand’s biggest coherent business and transport areas. Within the recent years the area has grown from 130 ha (1.300.000 m2) to 180 ha – and there’s even room for further expansion of the area, if this should be necessary in the future. The combination of highways, rail transport, Port of Køge and the necessary facilities has created a dynamic center for transport with a lot of big companies. STC is divided into a traditional transport center and a large area for business. The approaching roads are ideal and with both highways, rail transport and Port of Køge within close distance the logistics are optimal. The transport center is primarily suited for business with a large need for transportation and on site you’ll find facilities for fueling, cafeteria, different services and options for auto repair, washing, sleeping as well as a fenced in parking lot. 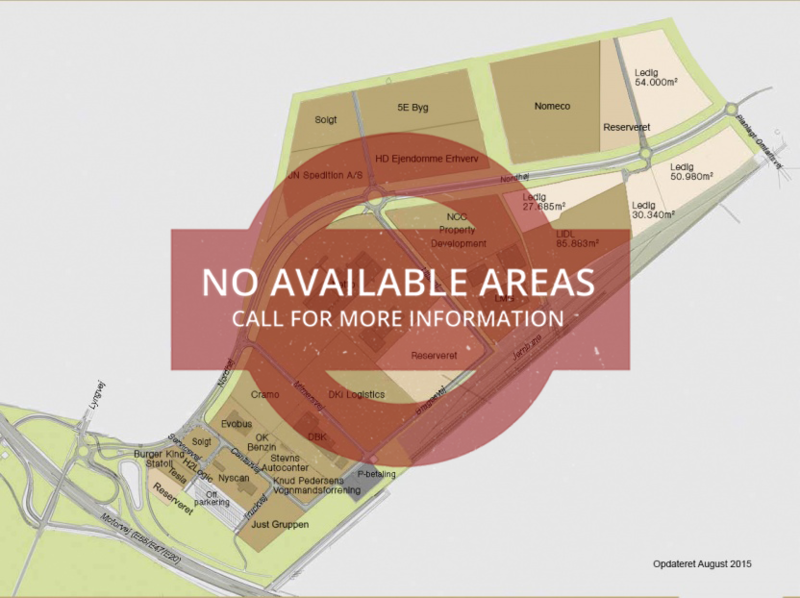 The business area includes both available and sold plots and building projects spanning from 5.000 m2 to almost infinite size…! With companies like Netto, JN Spedition, DKI logistics, DBK, LMG-Gruppen and the German supermarket chain Lidl, STC has received valuable credit as a serious business partner – and more companies are coming. Beyond running the transport center STC is also managing Port of Køge, which is one of Denmark’s important harbors. The harbor is often called the port to the east because of its ideal location towards the Baltic Countries. In spite of the economic crisis Skandinavisk Transport Center has shown a positive development from 2008 to 2013. In total 3000 people are employed within the center of logistics and even more people are hired within service companies and subcontractors. The area occupies 1.800.000 m2 by the transport center and an additional 600.000 m2 by Port of Køge – and there’s even possibility for further expansion of the area in the future. Skandinavisk Transport Center’s vision is to be one of the most important logistics clusters of Denmark. You can see on the map, which possibilities STC has to offer. 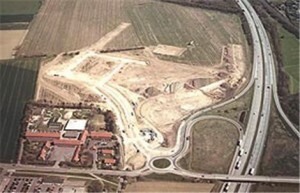 The vacant land range from 2.000 to 200.000 m2 and it is possible to build up to 30 meters in height. Price pr. square meter from DKK. 550 / kvm. The idea to create a transport center in Køge was hatched many years ago. Since the middelages the location of Køge city has resulted in a lot of various activities and in many ways this has helped shape Køge into a city, where both business, industri and craftsmanship has ideal conditions. In the beginning of the 1990s the munincipality of Køge decided to commision a large area measuring 125 ha for business activities. 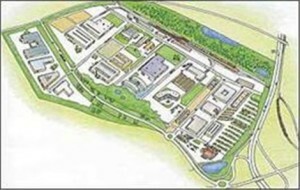 In 2001 the plans for the area were approved and the establishment of Skandinavisk Transport Center began. Later that same year the first vacant areas had been sold to several prominent businesses like OK, Netto, SAC leasing, Nyscan. Since then a lot of other businesses has followed the same tracks to STC and the transport center has just been expanded to keep up with the increasing demand. Nobody knows what the future will bring. But there are a few things, which we know; there will be more cars on the roads, more people in the cities and bigger competition between the transport companies. This is why we are wholeheartedly working to secure Danish transport and logistics for the future. Skandinavisk Transport Center is Denmark’s biggest transport center, and in the future we will become even bigger. We are investing, expanding and improving the transport center as well as Port of Køge, so we are ready to meet the future demands of danish transport and logistics companies..
With projects like the Femern Belt, expansion of the “Køge Bugt” highway and the opening of the high speed rail connection between Copenhagen and Ringsted, Køge will cement its status as a hub of transport and logistics, not only in Denmark – but also in Europe.